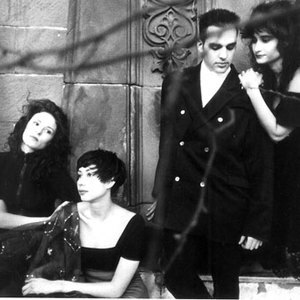 Book Of Love are a synth pop group formed in Philadelphia in 1984 by art school students Ted Ottaviano, Susan Ottaviano, Jade Lee, and Lauren Roselli. (Although Ted & Susan share the same last name they are not related to each another.) They had several big club/dance hits throughout the 80's and early 90's, including "I Touch Roses", "Boy", "You Make Me Feel So Good", "Modigliani", "Pretty Boys and Pretty Girls", "Lullaby", "Witchcraft", "Alice Everyday", and "Boy Pop." Their single "Sunny Day" appeared in the film "Silence of the Lambs", which group member Lauren Roselli also appears in. They had several big club/dance hits throughout the 80's and early 90's, including "I Touch Roses", "Boy", "You Make Me Feel So Good", "Modigliani", "Pretty Boys and Pretty Girls", "Lullaby", "Witchcraft", "Alice Everyday", and "Boy Pop." Their single "Sunny Day" appeared in the film "Silence of the Lambs", which group member Lauren Roselli also appears in. A best-of collection ("I Touch Roses: The Best of Book Of Love") was released in 2003 with a few new songs, and a new Peter Rauhofer remix of "Boy" that hit the dance charts. Ted and Lauren have released music recently with their new project called The Myrmidons. Ted has also done production work for NYC-based duo Dangerous Muse.